Beginning on January 1, 2017, the International Driving Permit (IDP), will no longer be required for drivers visiting from other countries. This is an important change in the law which affects our clients, many of whom have relatives visiting from the Republic of Korea. 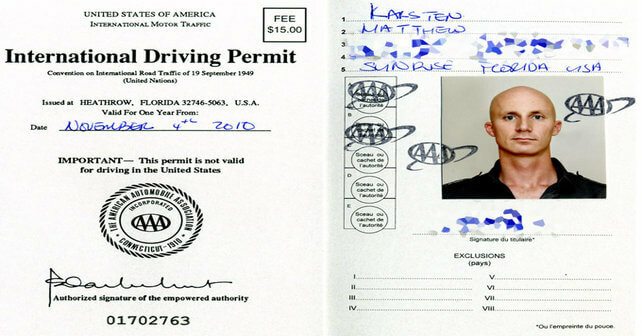 (2) A nonresident who has in his or her immediate possession a valid driver’s license issued to him or her in his or her home state or country; provided, however, that such person would otherwise satisfy all requirements to receive a Georgia driver’s license; and provided, further, that in the case of a driver’s license issued by the driver’s licensing authority of a foreign country, a law enforcement officer may consult such person’s passport or visa to verify the validity of such license, if available. Notice that nowhere in the statute is an International Driving Permit even mentioned. It’s clear that the legislature sought to eliminate the International Driving Permit entirely. Bear in mind that the driver must be eligible to receive a Georgia license under Georgia law. While this element of the statute does apply to minimum age and physical requirements, it is mainly worried about immigration status. Since a person without immigration status is unable to obtain a Georgia license, this element forestalls undocumented people from using their license from their native country to drive. It is our advice to our clients and their families that while driving in Georgia under this new law, that you should have your native drivers license and your passport with you at all times. We are a Norcross based law firm that specializes in Gwinnett County traffic ticket defense. We help people charged with speeding tickets and traffic citations in Gwinnett County Recorders Court on a weekly basis. This website is an advertisement for legal services. Nothing on this website should be construed as legal advice. No attorney-client relationship is created from the reading of this website. Copyright 2015 Goldstein Law Group. All rights reserved. Dissemination or reuse of this material without prior permission is prohibited.